How much of a factor does aerodynamics vectoring actually have on the Huracan Performante’s lap times? In typical Italian fashion, Lamborghini wanted to blow past the competition with no question about what the dominant automaker was when it debuted the Huracan Performante. It went ahead and proved that the company has made profound changes by putting the bull on the Nurburgring and extracting a hugely impressive lap time of 6 minutes and 52.01 seconds, blasting its cousin by Volkswagen blood, the Porsche 918 Spyder, out of the water by a full five seconds. In race car times, this may as well be an hour. 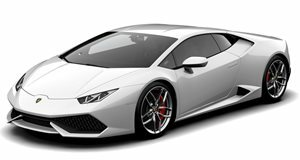 Though the Huracan Performante makes a nasty 631 horsepower and 443 lb-ft of torque using a reworked version of the mid-mounted 5.2-liter V10 in the standard Huracan, it isn’t horsepower alone that propels the supercar to its stratospheric heights. It’s the high G cornering ability enabled by clever aerodynamics. Lamborghini calls it ALA, which means “wing” in Italian, but also is an acronym for Aerodinamica Lamborghini Attiva, or “Active Lamborghini Aerodynamics.” Engineering Explained takes a crack at explaining the system piece by piece so we can get a better understanding of the magic of aerodynamics. In short, ALA uses a series of flaps that help optimize for downforce in the corners and minimize drag on the straights, just like any other active aerodynamics system. What’s different about ALA is that it can tailor downforce, adding more of it to the inside wheels to help the car pivot around a corner. Let Jason Fenske break it down for you though because as we learn, some of Lamborghini’s claims could just be marketing hot air.